ALTON- Norman Hillsgrove passed away in the early morning hours of Tuesday, November 6, 2018. He was a lifelong resident of Alton, having grown up on a dairy farm the eldest son of Fred and Ella (Goodwin) Hillsgrove. He attended Alton schools and Manchester Technical Institute. He worked as a machinist in Concord before starting his own business, Hillsgrove Machine, in 1979. 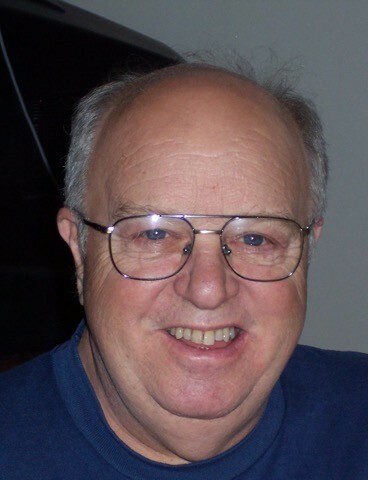 After his retirement in 2003, Norm spent many enjoyable summer hours riding his Honda Goldwing motorcycle. Winter time found him riding his snow machine locally and in northern NH. Perhaps his greatest automotive joy and accomplishment was the restoration of his 1949 Chevy panel truck. Norm was a hospice volunteer for Southern Carroll County VNA & Hospice as well as occasionally filling in at The Center for Grieving Children in Portland, ME. He also volunteered for the Kingswood Youth Center in Wolfeboro. He was very active in the Sterling Men’s Institute and served as the first district coordinator for the state of NH. Norm was a man of great warmth and kindness with many talents, skills & interests but perhaps what was most notable about his character was how he lived with the diagnosis of Alzheimer’s disease showing admirable courage, humor and acceptance. Norm’s family is most grateful for the care he received for the last four months as a resident of the Inn at Deerfield, to the psychiatrists at the Gero-Psych unit at Frisbie Hospital, to Concord Regional VNA and for the hospice care given during his final days at Epsom Health Center. His bereaved family members include his wife, Catherine Barritt; his children Susan Hillsgrove, Deborah Snell & husband Tom, Daniel Hillsgrove; the mother of his children, Cathy Hillsgrove; grandchildren Kate Hillsgrove, Dakota Hillsgrove, Jack Laramee, Kara Laramee and Lily Hillsgrove; brothers Al & Judy Hillsgrove, Hayden & Mary Hillsgrove and sister Eunice Gerlach. He was predeceased by his parents, brother Tom and son Kevin Hillsgrove.